There is a free-to-download 'app' available on this web-site under the Highlights section "click to see Ballinrobe's Historic Sites"
When open just click on "EveryTrail Guide to Historic Ballinrobe - add to your phone for easy reference" for free - just follow TripAdvisor's instructions. You will be able to self-guide the tour and, if you need further information, you can look them up on this site at "places"category. Alternatively, you can also scan the provided QR code with your smartphone and it will bring you directly to this Ballinrobe site. Whether they’re on Ballinrobe Historical Walk leaflets, cinema posters, cereal boxes or magazine adverts - QR codes are everywhere nowadays. You only need to look at print media to see how they have penetrated daily life. The rise in popular use has been driven by advances in technology, as well as the dominance of smartphones. But what are QR codes? Given their full name, Quick Response codes are square tags which can be scanned - much in the same way barcodes are read. Any phone with a compatible QR application and internet access can perform a scan. Once the code is read a target webpage is opened. The best part about it is that you can do it all for free. 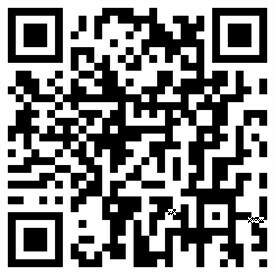 All you have to do is download a free QR reader for your type of smartphone. This will then give you the ability to access sites in a flash by scanning the code with your smartphone, thus eliminating the need to open up a mobile browser and type an entire web address in. Hope you enjoy your visit to Ballinrobe! This page was added by Averil Staunton on 20/08/2011.